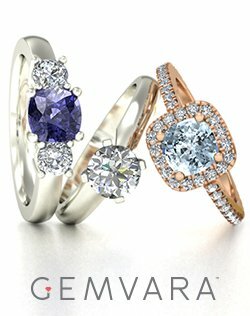 My son's fiancee has some opal stones from her grandmother, and she wants to have them mounted into an engagement ring with diamond accents on it and purchase a wedding band to match, how can that be done? 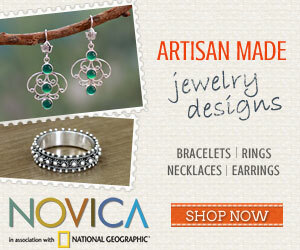 There are two ways she can have the rings finished. 1). 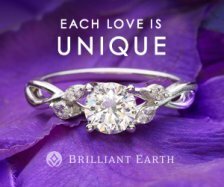 She can purchase an engagement ring with open prongs which have not been set with a stone (but with side diamond accents included in the band) - and she can purchase a matching band. 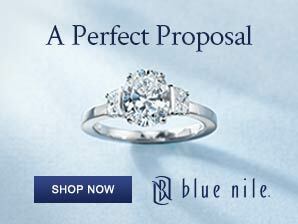 Then she can take the opals and the engagement ring to an experienced jeweler who can set the opal stones. 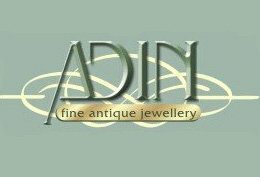 Find Genuine Antique Opal Rings at Adin Fine Jewelry. 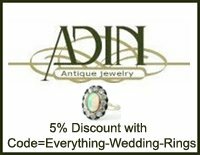 Receive a 5% Discount with Code=Everything-Wedding-Rings! 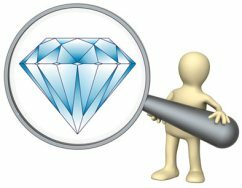 If she chooses this method, it would be best to talk with a jeweler first so she can gain an idea of the type of pronged engagement ring which would suit setting the opals. 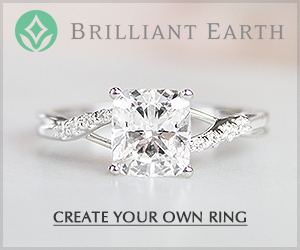 (You can find engagement ring bands with open prongs which have not been set with center stones at Blue Nile , the design team at Brilliant Earth can also custom design a ring to fit the opal with a matching band and may set the gemstone in a custom design ring if the opal is shipped to BE). 2. 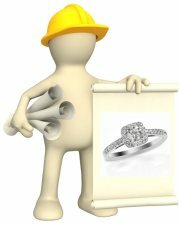 She may also consult with a jeweler who can handcraft a matched engagement and wedding ring set - and set the opals and diamond accents in the engagement ring when the ring is made. However, she should be aware that opals should only be worn occasionally - and they will not hold up to daily wear on an engagement ring. Opals have a hardness rating of 5.5 - 5.6, which is pretty low. They also contain a significant amount of water within the stone - which further weakens the stone - and they are sensitive to hot temperatures, sudden temperature changes and dry climates. 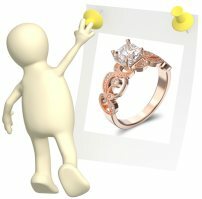 If she decides to use opals for her engagement ring, she will need to remove her engagement ring when she is performing any activities which may expose the opals to knocks or scratches - and she should remove the ring when doing any household chores, taking a shower etc., or when chemicals/cleaning agents or other liquids will come into contact with her hands. To keep the opals from drying out and cracking, she should occasionally store the opals in a sealed bag with a lightly moistened cloth or cotton ball. During cold winter temperatures, she should avoid wearing the engagement ring outside or wearing the ring when she will be going from warm indoor temperatures to cold outdoor temperatures - otherwise the opals can crack from the sudden changes in temperatures. Opals too, can accumulate scratches from the minute particles of quartz in household dust. Any type of opal jewelry should be stored in a separate closed container where it will not be scratched by other pieces of jewelery or exposed to dust. 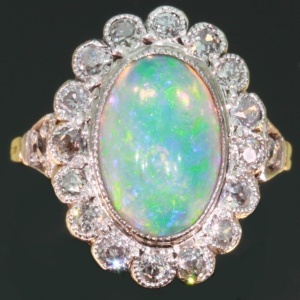 To clean the opals, they should be gently wiped with a clean and very soft lightly moistened cloth (like the type used to clean computer screens), and to maintain the sheen opals will need an occasional professional polish. If she wants to do something special with the opals - but she would like an engagement ring she can wear every day - she may want to consider having the opals set in a pair of earrings, or a necklace or brooch, to wear on her wedding day and then on special occasions. I hope this info is helpful, and do write back to us if you have any further questions! 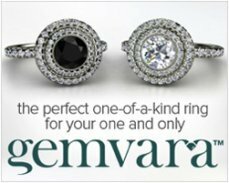 Click here to return to Gemstone Rings?.